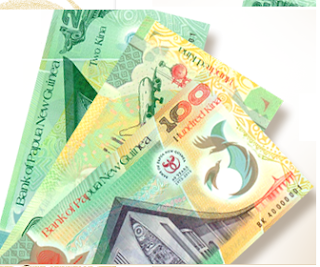 THE Business Council of PNG will welcomes any move by the Government and the Bank of Papua New Guinea (BPNG) to address the limited availability of foreign currency, president David Toua says. He was commenting on Prime Minister Peter O’Neill’s statement in Parliament that the Government was on top of the forex shortage. The Bank of PNG is talking to the International Finance Corporation to provide US$250 million (K774 million) which would be rationed to the three commercial banks to clear out the backlog of foreign currency demand. O’Neill said BSP has agreed to commit to it while talks were continuing with the other two foreign-owned commercial banks (ANZ and Westpac). He said once the deal was finalised with the two banks, “relief will be coming in soon”. O’Neill told Parliament that priorities were given to major companies which had a “very high demand for products they provide in the market” in rationing the limited forex. Toua said: “The Business Council of PNG welcomes any move by the Government and BPNG to address the limited availability of foreign currency that has significantly impacted businesses. “We understand the decision to allocate foreign exchange on the basis of national interest is necessary and requires objective and impartial consideration and we have confidence in the ability of the regulator. O’Neill said the forex shortage would soon ease with the resumption of operations at Ok Tedi which would bring in US$40m (K124m) in forex per month, plus the pick-up in the oil price on the international market.